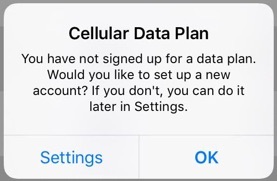 Disabling the iOS Cellular Data Plan popup that asks if you would like to sign up for a data plan can be disabled by turning on Airplane Mode. Just remember to turn your Wi-Fi and/or Bluetooth back on. My wife and I both have iPad Mini 3s. Since we are usually connected to Wi-Fi, we share a T-Mobile SIM that we keep in the iPad is traveling and likely to utilize the cellular data. I got fed up with iOS constantly asking about a cellular data plan, so I figured out that Airplane Mode stops this. This entry was posted in iPhone, Tip and tagged cellular, dialog, ios on September 19, 2015 by Kenji Yoshino. This was tested on Pebble Time HW 8.12 (snowy22), Pebble Time FW v3.2, Pebble Time app v3.1, iOS 8.4, and an iPhone 6. The latest Pebble guide I could fine for setting up notifications on iOS (May 13, 2015) is not accurate, making it a trial and error exercise to customize notifications that get pushed to the watch. Notifications are not dependent on the "Show on Lock Screen" setting or the "Alert Style" settings stated in the article. Alerts on the Pebble Time are actually tied to what appears in the Notification Center. To disable notifications from a particular app, go to Settings → Notifications → <app> → Show in Notification Center → No Recent Items. 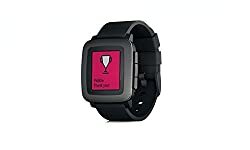 When this is set to 1, 5, or 10, notifications will show up on your Pebble. Security Note: If you’ve turned off the "Show Previews" option so text messages an email contents are not displayed on the Lock Screen, the message contents will still be displayed on the Pebble Time since it pulls content directly from the Notification Center. This entry was posted in iPhone, Pebble Time, Tip and tagged ios, notification center, notifications, Pebble Time on July 22, 2015 by Kenji Yoshino. 7/22/15 Update: Items addressed in FW version 3.2 (released July 22, 2015) have been struck out. This applies to Pebble Time HW 8.12 (snowy22), Pebble Time FW v3.1, Pebble Time app v3.1, iOS 8.4, and an iPhone 6. I’ve been using my Pebble Time for about two weeks. It works great as a convenient notification/reminder device. Even though it is marketed as a "smartwatch" it is by no means, a smartphone replacement. Long battery life – I still charge my watch every night, but it has never reported under 90% charge. Subtle notifications – I find the small vibrations more noticeable than a phone. Convenient Calendar Access – pressing down quickly shows me the next appointment on my calendar. Good range – I reliably receive notifications when I am at the at or beyond the "typical" Bluetooth range of 10m. These are items that Pebble could improve with a simple Firmware update. Customizable Backlight Timer – the backlight only stays on for about 3 seconds. I have not had any connectivity problems between my Pebble Time and my phone. I have not had to re-pair it or had any issues due to walking out of range of my phone. This entry was posted in iPhone, Pebble Time and tagged ios, Pebble Time, review on July 12, 2015 by Kenji Yoshino. Every once in a while, my iPhone 6 running iOS 8.2, refuses to automatically bring up a captive portal authentication page. Bringing up a browser didn’t help, because my phone would automatically route data over the cellular network. The workaround is as simple as disabling "Auto-Login" for the specified network. If you use LastPass, this also allows you to use the LastPass extension to auto fill captive portal authentication fields. This entry was posted in iPhone, Tip and tagged captive portal, ios on March 16, 2015 by Kenji Yoshino.